NOTICE: This event has already happened. To view our current events click here. Cost: $90 per team for the entire season. Paint – $50 a case. Preregistered paint – $45 a case. 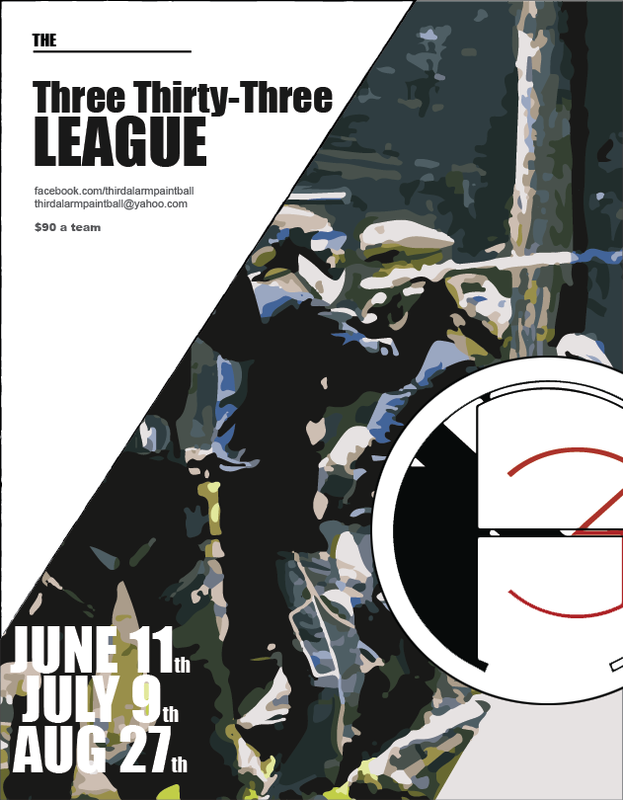 Teams that preregister by May 1st will receive 3 T-shirts and discounted paint at events. There will also be a rental division available that will follow the same format. Additional shirts will be $15 each. Rules: The format will be three man race to 2 (max total 3 points). NXL rules and firing mode. Events will take place later in the day (Exact time TBA). Following every event we will have a player party. There will be a fire, music and food available. Players will be encouraged to bring friends and family. Bring some drinks and make a night of it!